Leverage analytics for better business decisions and impact on bottom line. Predictive analytics is the use of data, statistical algorithms and machine learning techniques to identify the likelihood of future outcomes based on historical data. The objective is to go beyond knowing what has happened in order to provide the best predictions of what will happen in the future. Whether you are in marketing, risk and compliance, customer service, operations or any other business unit, your data can show where you are and predict where you are going. The use of predictive analytics will impact how your company make strategic decisions and drive bottom line. 1. Understanding the Big Data landscape: Where are we? Why predictive analytics matters? 2. Distinguishing between descriptive, predictive and prescriptive analytics? 5. How to lower costs and increase profits? Given the rapidly changing nature of this field, understanding what value can be derived from predictive analytics is known but 'how' remains a key question. This masterclass will provide a framework for application of the appropriate tools and techniques to lower costs and increase profitability. Manoj is a management professional, having over 10 years of senior management experience. He has a Msc (WITS), MBA (GIBS), and currently studying towards his DBA (GIBS). 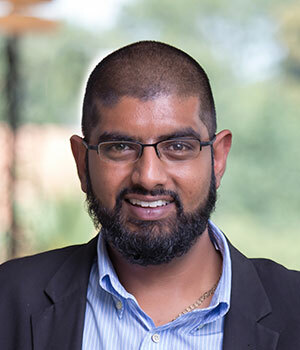 Currently he is the Principal Consultant and Data Analyst specialist for ATBM Advisory, and has consulted to over 50 companies, and a non-executive director on three board's of directors. He continues to advise companies EXCO's and delivers operational projects across industries. His passion is driving the triple bottom line through evidence based research, and some of the work includes price-setting strategies, market share analysis and strategic input. He further has a strong passion for education at the grass-roots level, and assisting in solving youth unemployment in South Africa. He lectures MBA students at GIBS on Analytical Tools and Techniques and supervisors MBA projects. Fee of R4700/p includes masterclass materials, lunch and refreshments for the day. Payment of R4700/p must be received latest 2 weeks prior to start of masterclass to secure seat. Please adhere to cancellation policy outlined below.